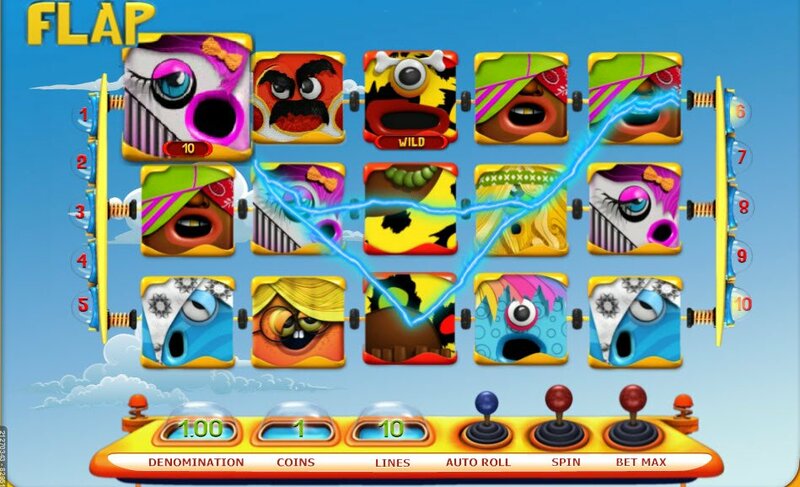 Join some reel characters in the 3D FlipFlapSlots where colourful graphics meets plenty of bonus games and features. The music gets annoying after a while and you can’t turn that off without turning the cute character catchphrases off, but despite that, this SkillOnNet slot machine is buckets of fun with big multipliers. The SkillOnNet FlipFlapSlots game is full of brightly coloured little characters that come complete with catchphrases. It is rather overwhelming at first as they are brightly coloured, but this 5 reel, 10 payline slot game is a bit of a treat if you stick with it. The mechanics of the 3D Flip Flap Slots game are quite impressive. The 10 paylines are tethered with 3 curvy hinges to the sides of the machines, and the reels spin round extremely fast, so you can see which paylines you've hit more quickly. The theme here is definitely fun, crazy and instantly playable. Instead of the normal buttons, in true SkillOnNet style, there are round levers, sort of like baby gear sticks, which add to the atmosphere. The music is brightly cheering at first, but after a while it just has to be turned off, once you have had your fill of all the crazy characters comments and catchphrases. They all have something to say for themselves and it would be rude not to listen. Instead of the normal buttons, in true SkillOnNet style, there are round levers, sort of like baby gear sticks, which add to the atmosphere. There is also a handy Auto Roll feature, which is another name for the ever popular Auto Spin feature. The lightbulbs at the sides lighting up to show you which lines you've spun some pay out of is also a cute feature. 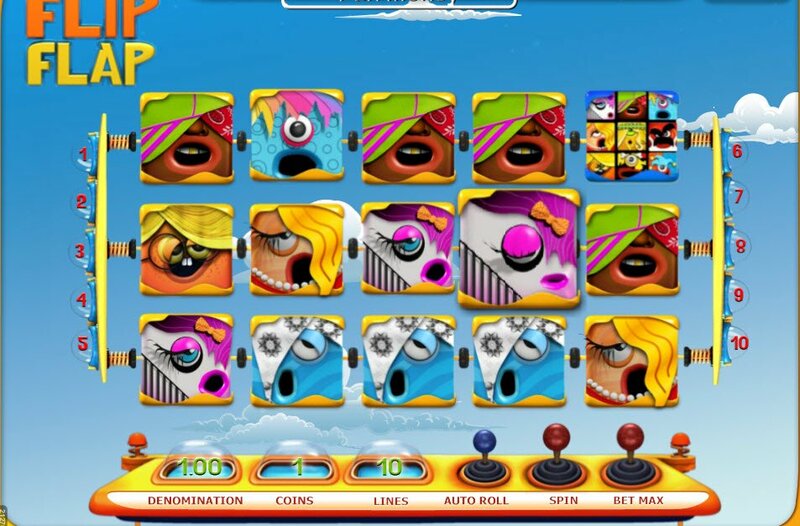 Apart from the adorably animated characters, Flip Flap Slots has expanding wilds in the middle reel only. If you spin 3 special modes you'll enter the Special Flip Flap Slots game, where you'll find a multiplier of up to 50x across the 6 levels. If you spin 3 matching pairs of bonus symbols, you'll enter a game of blocks where you'll need to flip them over and match the symbols. 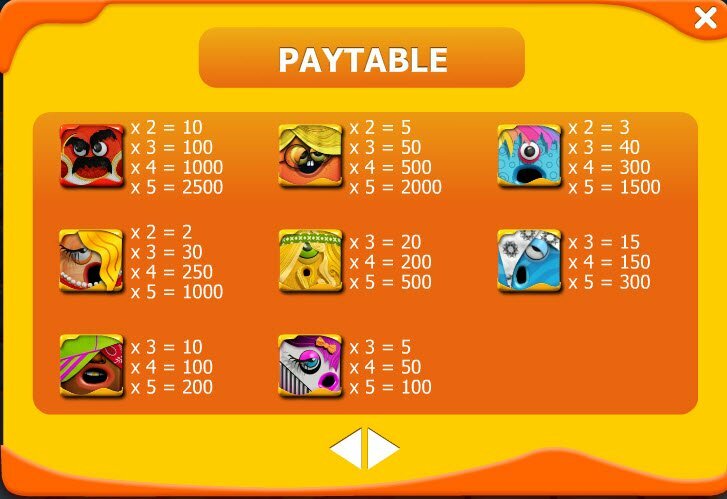 There's a third bonus game in the form of the Parachute Bonus Game, where 3 parachute symbols will take you hunting and shooting down the parachutes to win prizes.